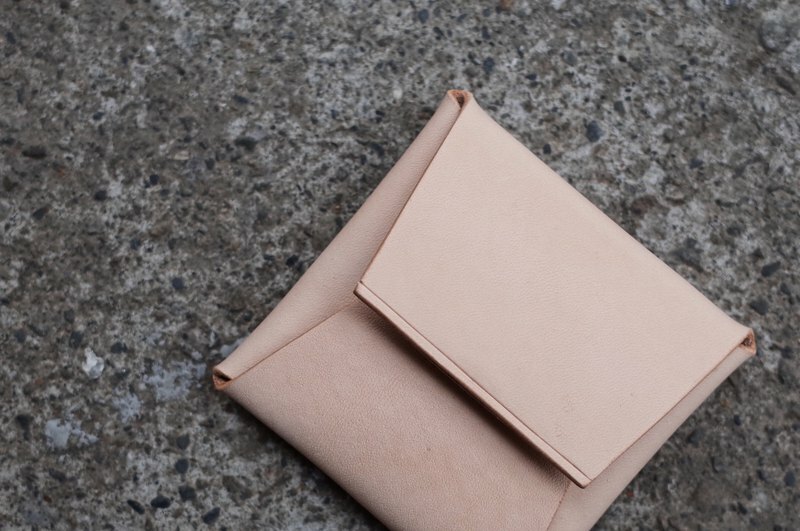 It is folded in a single piece of leather and can be adjusted to extend into a variety of functions such as pencil cases, business card holders, and clutches. About materials TUTAN.project uses only European vegetable tanned leather / pure brass hardware / natural twine. Made by hand-cutting and sewing Vegetable tanned leather contains tannins that change due to sunlight and oil. The natural oxidation of brass hardware even produces patina, Natural twine has its own unique texture but will wear on the long-term contact, "Sense of use" is a common characteristic of these three materials. As the use and time goes by, gradually showing the various stages, "The object may not be as new as ever." The value of the object should not be how much residual value or whether it is preserved. It is whether it is honestly presented to different users because of different users. Vegetable tanned leather using gloss color change reference (depending on usage habits) https://c1.staticflickr.com/1/888/26594570857_81eb67139a_o.jpg About design TUTAN.project has a background in architecture and space design. Imagine what it looks like for each object. Use geometric lines to outline the frame of the object, And the size and the ratio between the pieces, In addition to basic functionality, We pay more attention to how to present the character of TUTAN.project. about that product 8cmX8cm Color choice: primary color / black Free 3mm uppercase English and digital stencil lettering (not recommended for text content) Precautions Picking yak leather for natural leather surface without modification There are lines, embossing, and small scars as natural phenomena. Unacceptable, please do not subscript TUTAN.project for personal studio No invoice receipt is provided Only simple protection packaging The number of production days and the actual delivery time are adjusted according to the number of customized cases.